ITS Campus, ITS News – The distinction of the Sepuluh Nopember Institute of Technology (ITS) Surabaya, Indonesia as one of the best engineering schools in Indonesia has been recognized by various world technology-based companies. 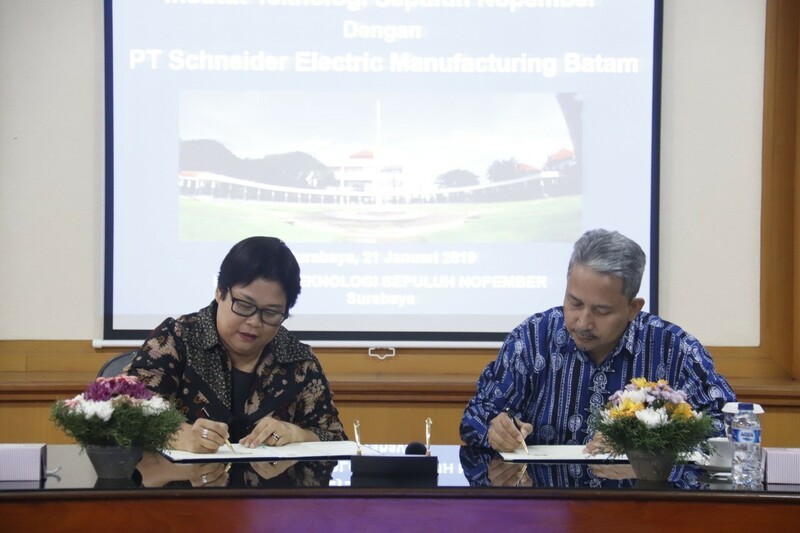 One of them was PT Schneider Electric Manufacturing Batam who was interested in cooperating with ITS, which was marked by the signing of a memorandum of understanding to provide scholarships to outstanding ITS students at the ITS Rectorate Building, Monday (21/1). PT Schneider Electric Manufacturing Batam is a subsidiary company of Schneider Electric Manufacturing that based in France. The company focuses on providing reliable electric power plant services with a controllable operating cost. They have accepted almost 60 students intern each year from several universities in Indonesia. 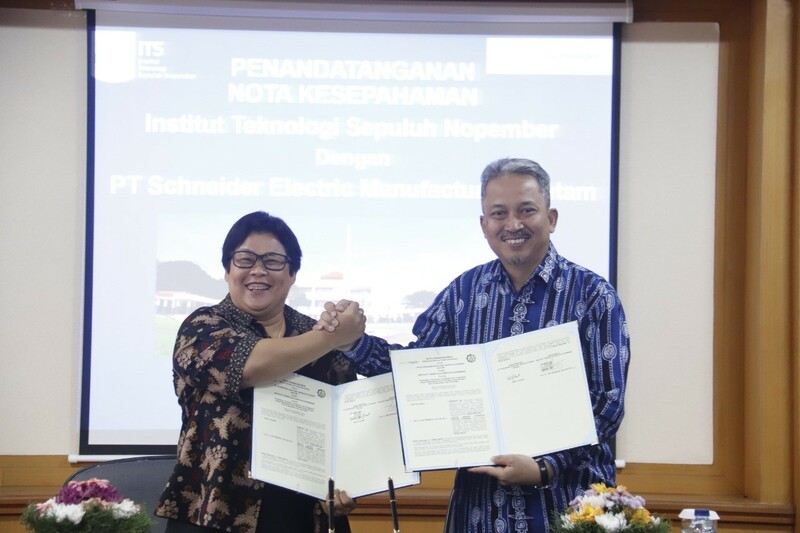 “We see that the role of young generation in energy developing is really needed to face industrial revolution 4.0 in Indonesia,” said Susi Yulianti, Human Resource Director of PT Schneider Electric Manufacturing Batam after signing the agreement. According to Susi, Spark Scholarship Program is awarded to ITS excellent students to give them a chance to receive financial help also to experience six months internship in PT Schneider Electric Manufacturing Batam. “The students that we awarded are have been through a tight selection so then later they can contribute to the company.” Susi added. The scholarship that given to the students is in form of money as much as 8 million rupiah that given in each semester and the chance to experience six months internship. Even after graduate, the students that have received the scholarship will be given a managerial training for 24 months in PT Schneider Electric Manufacturing Batam. “After that, they can hold a strategic position in the company,” she explained. Meanwhile, ITS Chancellor Prof Ir Joni Hermana MScES PhD claim that he really appreciates the cooperation in form of scholarship awarding. He stated that PT Schneider Electric Manufacturing Batam participation in scholarship awarding gives a positive effect, especially for the students to maximize their best potential. “Even after they succeed, this contribution will be beneficial for them to develop the nation,” he added. 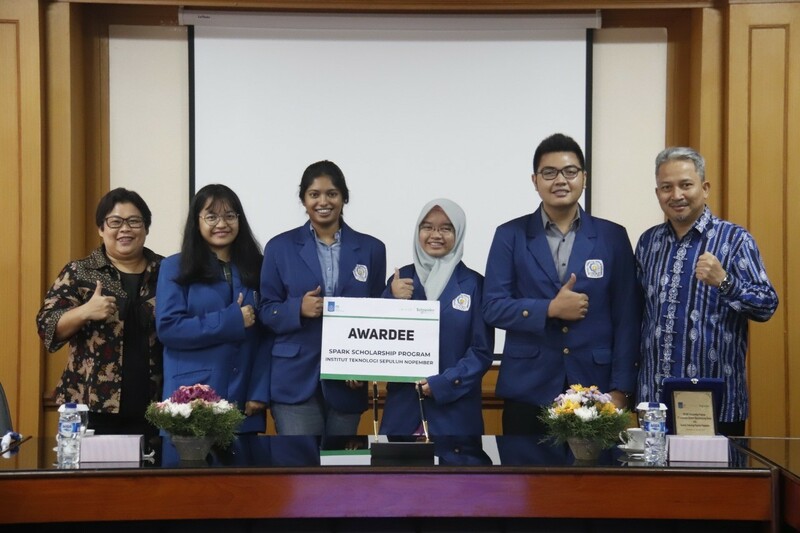 The scholarship from PT Schneider Electric Manufacturing Batam this year is awarded to Naufal Ihza Revandhika from Information System Department, Zahrah Ayu Afifah Febriyani from Informatics Departemen, also to Aurel Quinta and Divyah Laksmi form Electrical Engineering.